The Memorial Hermann Medical Group (MHMG) Firethorne Family Practice Clinic provides highest-quality primary care for patients in the Katy and Fulshear areas. Our family medicine specialists focus on precise diagnosis and up-to-date treatment, but the heart of our practice is caring and empathetic relationships with patients of all ages – newborns to seniors. Our healthcare providers, who have years of experience in family medicine, focus on building long-lasting relationships with their patients. They are specially trained in diagnosis, treatment and prevention of disease and skilled in managing diabetes, hypertension, infectious diseases, kidney disorders and other chronic conditions. 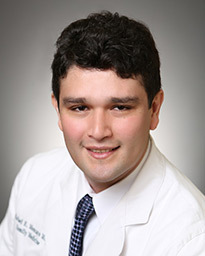 Dr. Rafael Moncayo treats patients from 6 years old to adults. Fluent in Italian and Spanish, he sees patients with acute illnesses and chronic diseases, and provides immunizations and annual child and adult physicals. His clinical interests include diabetes, hypertension and dementia. 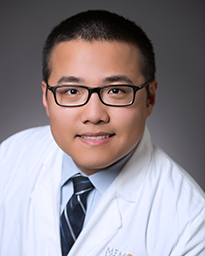 Dr. Chuan-Li Fan treats patients ages six and up. He provides services for a variety of acute and chronic medical conditions including, hypertension, high blood pressure, thyroid problems, diabetes, obesity management and COPD. His clinic interest lies in preventive medicine. Dr. Fan is fluent in Mandarin. Family nurse practitioner Angela Leslie graduated from the Texas Women’s University College of Nursing. She takes care of patients of all ages. In treating patients with chronic conditions like high blood pressure and diabetes, she makes it a priority to encourage them to participate in establishing and reaching their wellness goals. The Memorial Hermann Medical Group Firethorne is located south of I-10 in Katy near the intersection of FM 1463 and South Firethorne Rd. The practice serves patients throughout west Harris and northwest Fort Bend Counties, including Katy, Firethorne, Cross Creek Ranch, Pine Mill Ranch, Cinco Ranch and Westheimer Lakes. Angela Leslie graduated from Texas Women’s University College of Nursing. She sees patients from ages six and up and has a special interest in using evidence-based medicine in order to provide the best care for all ages. The Memorial Hermann Medical Group Firethorne is located south of I-10 in Katy near the intersection of FM 1463 and South Firethorne Rd. The practice serves patients throughout west Harris and northwest Fort Bend Counties, including Katy, Firethorne, Cross Creek Ranch, Pine Mill Ranch, Cinco Ranch and Westheimer Lakes. Surface lot parking is available at the location.